2014 RAM 2500 CREWCAB BIGHORN 4X4 !! 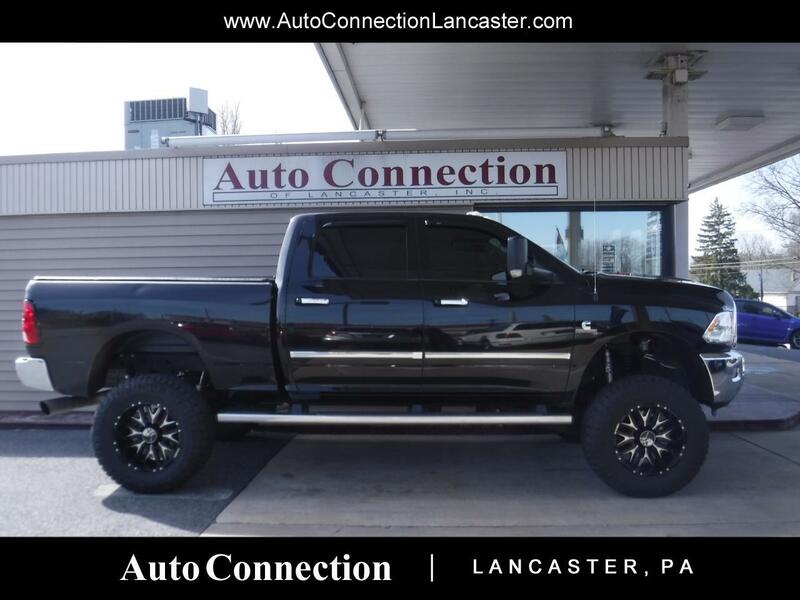 HERE IS SUPER CLEAN LOCAL TRADE ADULT OWNED 6.7L CUMMINS DIESEL DONE RIGHT AND NEEDS NOTHING ALL THE WORK DONE IN THE LAST YEAR 10,000 MILES !! FACTORY NAVIGAITON, HEATED SEATS,HEATED STEERING WHEEL, PWR SLIDING REAR WINDOW, FACTORY GUILT IN 5TH WHEEL MOUNT NEER USED,BDS/FOX SHOCK 6''LIFT KIT WITH STEERING STABILIZER AND TRACTION BARS INSTALLED BY HOAKS 4X4,EDGE CTS-2 PROGRAMMER,JAMO FULL 8''EXHAUST,20 HOSTILE WHEELS W/NITTO GRAPPLER 37X12.5X20 TIRES NEXT TO NEW !! THIS IS A MUST SEE IN PERSON TRUCK !! NO JOY RIDES BANK APPROVAL FIRST ! !